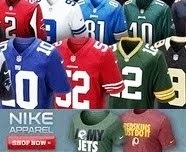 Our top 100 NFL players of 2011 countdown continues this week -- with numbers 60-51. 60. 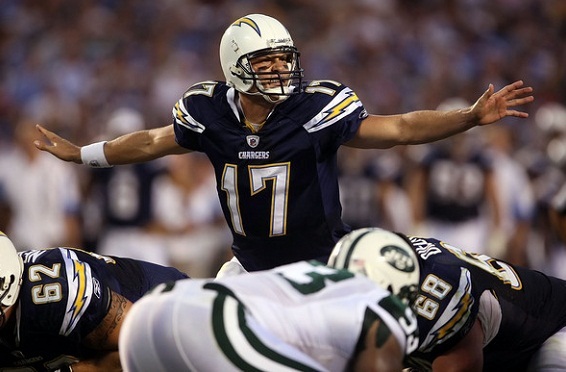 Philip Rivers - QB, San Diego Chargers: In 2011, Rivers set a career-high with 20 interceptions. However, over the course of the final 5 games of the season, he threw 11 touchdown passes to only 3 picks, reminding us just how well he's capable of playing when he's really on his game. As the fifth-highest rated quarterback in NFL history (95.5), expect Rivers to rebound with a big season this year. 59. Von Miller - LB, Denver Broncos: Miller's 11.5 sacks in 2011 were enough to earn him both All-Pro and Defensive Rookie of the Year honors. The athleticism and speed that Miller possesses are traits seldom seen in a linebacker, so look for him to continue terrorizing the opposition for many years to come. 58. Devin Hester - WR, Chicago Bears: Hester has developed into one of the most dangerous playmakers in all of football. Whether receiving or on special teams, he has the ability to score from anywhere on the field on any given play. Hester's 18-combined special teams return touchdowns are the most in NFL history. 57. Logan Mankins - G, New England Patriots: Mankins has been a mainstay on New England's offensive line since 2005, and he's made the Pro Bowl four times. Both a solid run blocker and pass blocker, Mankins in one of the unsung heroes in the trenches that helps make the Patriots so formidable on offense. 56. Patrick Peterson - CB, Arizona Cardinals: Much like Devin Hester, Peterson is a dual-threat in that he's capable of changing a game on the defensive side of the ball or on special teams. Last season in Week 9 against the Rams, Peterson helped bring the Cardinals an overtime win with a 98-yard punt return for a touchdown. 55. Darren McFadden - RB, Oakland Raiders: McFadden makes our top 100 list despite the fact that he missed 9 games due to injury in 2011. Prior to going down, he led the league in rushing with 614 yards, and also scored 5 touchdowns. If McFadden can stay healthy this season, expect to see his name near the top of the yards rushing leaderboard at year's end. 54. Justin Tuck - DE, New York Giants: A preseason injury hobbled Tuck for most of the 2011 campaign, but his versatility still helped make him a fairly consistent disruption to offenses. Even with the injury, Tuck registered 37 tackles, 5 sacks, and a forced fumble over the course of 12 games. 53. Greg Jennings - WR, Green Bay Packers: Jennings in one of the important cogs in Green Bay's high-powered offense. Despite his small stature, he's one of the more physical receivers in the National Football League, and is always hard to bring down. Last year, Jennings hauled in 67 receptions for 949 yards and 9 scores. 52. Jonathan Vilma - LB, New Orleans Saints: Since joining New Orleans in 2008, Vilma has been an impact playmaker on defense. In 2011, the 3-time Pro Bowler registered 54 total tackles and a forced fumble in 11 games of action. Unfortunately for Vilma, he'll likely miss all of the upcoming season due to his part in the Saints bounty hunting program. 51. Brian Cushing - LB, Houston Texans: In a very short period of time, Cushing has become one of the best linebackers in the NFL. One of the undeniable leaders on Houston's defense, Cushing had 114 tackles, 4 sacks, 2 interceptions, and 2 forced fumbles in helping the Texans make the postseason for the first time in team history last year. Expect the same type of production out of him in 2012. Hope you enjoyed our latest ten. Be sure to check back here next Sunday when we finally crack the top 50 with numbers 50-41!